^ Wolfgang Donsbach and Michael W. Traugott (2007). The SAGE handbook of public opinion research. Social Science. http://books.google.com/books?id=3n5BA5Z_Of0C&pg=PA111&lpg=PA111&dq=%22gallup+international+association%22&source=bl&ots=bxackrsax3&sig=-MPn8jAcXmdRENPr8weQWRm0N1Y&hl=en&ei=_nL0TMerK5HCvQPDj-yeDg&sa=X&oi=book_result&ct=result&resnum=6&ved=0CC8Q6AEwBTg8#v=onepage&q=%22gallup%20international%20association%22&f=false. Hawbaker, Becky Wilson. 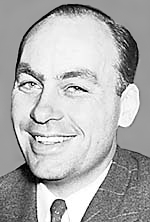 "Taking 'the Pulse of Democracy': George Gallup, Iowa, and the Origin of the Gallup Poll." The Palimpsest 74(3) 98-118. Description of Gallup's Iowa years and their impact on his development. Ohmer, Susan (2006). George Gallup in Hollywood. Columbia University Press. ISBN 9780231121330.